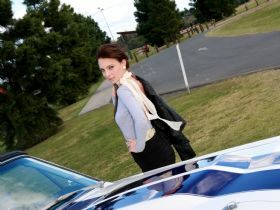 Professional photo packages available, with our gorgeous models and your treasured car. A great gift idea. Choose your location (QLD only). Fantastic prices. Available evenings and weekends. Group discounts, get your mates onboard and SAVE! 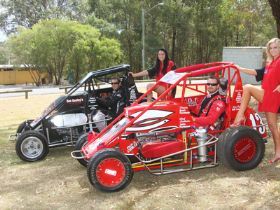 For more information or a custom quote, call Rebecca @ RBC Promotions on 0400584683 or email rebecca@rbcpromotions.com. Bec, your girls were as friendly as they were stunning. Thanks so much for your help. Im stoked with the pics, my Dad will love them. - James, Forest Lake. Shots turned out great Bec....ill give you a call once I buy this Val!! Thanks heaps. - Martin, Mansfield.